So, millennials, huh? Oversensitive snowflakes, always in their smartphones, but don’t like phone calls. What else do we know about people who are already the largest and most influential generation of consumers and only going stronger? What I’m (with a bit of artistic exaggeration) trying to say here is that we can’t seriously discuss the future of customer support without knowing whom exactly we’re going to ‘support’ in 2019 and further. And that would be millennials. If you’re still wondering why on earth I’m talking about millennials now, once again, here’s a quick explanation. Millennials, or Gen Y are the demographic group of people born between the 1980s and early 2000s. Millennials are quickly becoming the most important consumers encountered by most types of business, with a spending power that is estimated to be worth $10 trillion over their lifetimes, according to Forbes. Millennials are not just kids anymore. No, they can become the biggest group of users for your business, they most probably work for you (and yes, I’m 24, I’m biased as hell in this matter, but then again, aren’t we all?) – millennials are the future of customer support and we should start reckoning with this force. Word of mouth has always been one of the most powerful marketing tactics (if something you can’t really control can be called a tactic). With millennials, it’s growing even more relevant. These people read and trust product reviews and care much less about ads than previous generations. A product endorsement from someone popular and influential is what millennials can truly appreciate. Just think of the Fyre festival, one of the biggest frauds of our decade. All those millennials were willing to pay thousands of dollars for a non-existent event just because their favorite models endorsed it. Influencers are what marketing is made of these days. According to Euclid study, 56% of millennials buy online half of the time after they visit a brick-and-mortar store first. 21% of millennials “almost always” buy online. Thus, millennials are dominating online ecommerce as we speak. They are a breeding ground for all of our digital marketing channels. If those channels are handled right, obviously. Don’t try to fool millennials. These people are born with technologies, they know technologies, they use them for everything. They check every piece of information they receive in a couple of clicks and a few swipes. And if they aren’t satisfied with the quality of service they receive, you can be sure you’ll get yourself those bad reviews in a split of a second, no hesitation. According to all possible studies and common sense, millennials would rather text than talk things over the phone. And calls from unidentified numbers are an absolute no-no. Millennials actually consider calling without prearrangement straight up bad manners. All in all, I don’t mean to generalize about every Gen Y representative, but the vibes these days are all about being woke and tolerant, authentic and real, inspiring and distinctive. Technology is somewhat of a milestone when it comes to millennials. Internet explosion is one of the defining characteristics of Generation Y. That is exactly why new technologies are at the heart of the customer support future. You need better technologies, faster resources, effective automation to keep pace with the tech boom around us. Modern customer support is all about that. I mean you can’t seriously continue using old school ticketing systems while Elon Musk is sending David Bowie’s songs to Mars and BostonDynamics’ robots are dancing better than we ever will. Self-service if going to be big. If people can find answers to their questions without any help, if finding those answers was easy and fast, why would they contact your customer support team in the first place? According to the recent report, 73% of customers want to solve their issues with a product or a service on their own. And that is great news for all customer social warriors out there. Self-service means fewer requests, fewer requests mean more time for other more important tasks. So yeah, in 2019 having a robust knowledge base is a must. You should have detailed articles about everything – from registering to every basic and advanced feature. It should be easy to access these articles and find any information in them as well. But it would be a huge mistake thinking that a help center is everything there is to self-service. If you have resources, people and time, you definitely should create some videos and step-by-step tutorials for your business. The ultimate goal is to make everything so clear that your customers won’t even need to contact the support department. There’s also this cool thing you can add to you self-service support. I’m talking about communities. You can give your customers all the resources to build their own communities around your product – something like a FAQ page or a forum where people can talk to each other and discuss their burning questions. 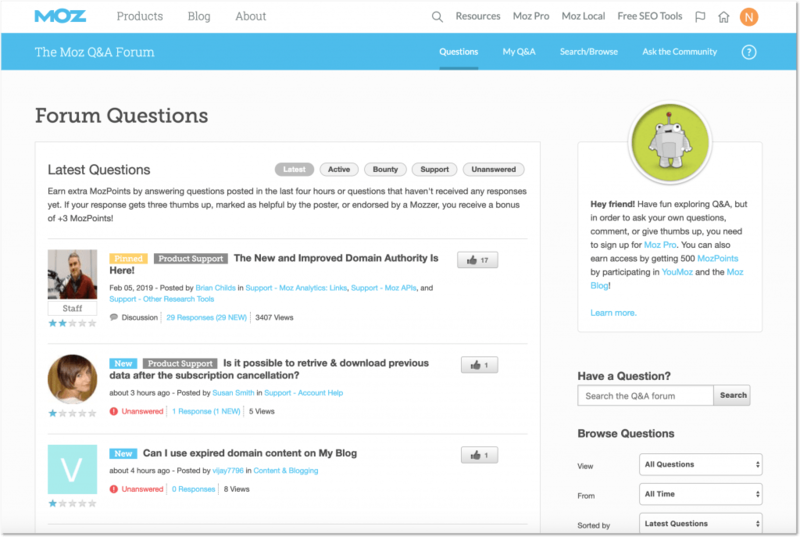 One of the awesome examples of such communities is The Moz Q&A Forum. It’s the place where everybody can ask any question concerning SEO (and I mean ANY) and get a bunch of answers from virtually anybody willing to share their expertise. All in all, people only contact customer support directly when they have no other choice left. They don’t want to talk to your support even if you have the most pleasant people working for you. That’s why quality self-service resources are a must for the future of customer support. Every single day, people send 200 million messages via WhatsApp, the most popular messenger as of this day. 195 minutes is an average time a person spends in this app every week. And don’t get me started on WeChat! Suffice it to say, the most popular messenger in China sees 1.08 billion active users every month. Yeah, we like our messengers, that’s for sure. So how can all these numbers be applicable to customer support? Well, all this means only one thing: you should use real-time messengers for communicating with your customers. If that is a preferred way of communication these days, why fight it? With only 2 minute average response time, live chats are the fastest way to communicate with your customers. However, with great power comes great responsibility – meaning that if you commit to providing live chat customer support, you’d have to constantly push the limits keeping it fast yet personalized. For instance, many businesses already use Facebook Messenger for their customer service needs. It’s only understandable as the tool is familiar to everybody and there’s no need to adapt to new features. 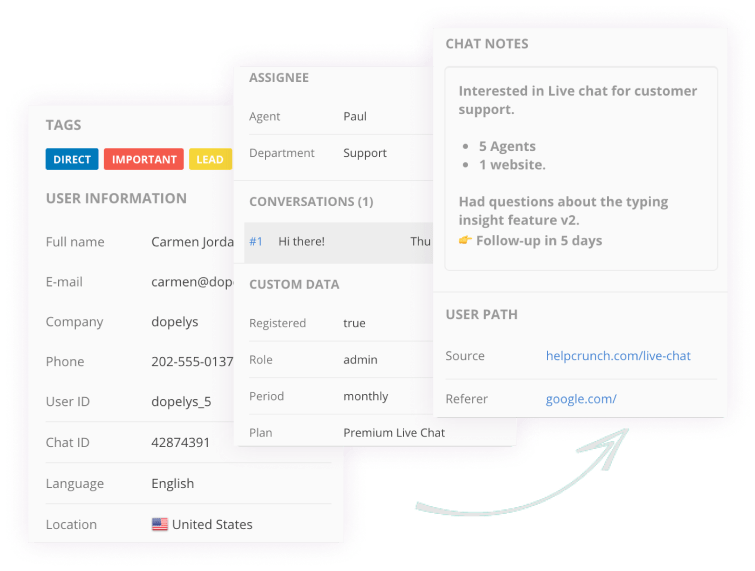 But I wouldn’t stop on it as there’s a bunch of more professional real-time chat tools for businesses on the market like HelpCrunch, Intercom or Tawk. One reason I prefer such tools over FB Messenger is that while giving 100% messenger experience, they can be customized in accordance with your website design and look like its integral part. Is it me or has ‘data’ become somewhat of a buzzword over the past couple of years? Everybody’s talking about data and argue whose database is bigger. Data in itself doesn’t mean a thing, you know. You can have thousands of yottabytes (real term, btw) of info on your hands, but there’s no point if you don’t know how to analyze it to your advantage. 1. Data about our customers. Modern customer support tools collect lots of data about each of your customers and visitors. As creepy as it may sound (hello, Mr.Robot), it’s a good thing for businesses. Great, actually. The more you know about people who use your service or product, the better support you can deliver. Just imagine the level of personalization you can achieve with the help of data. 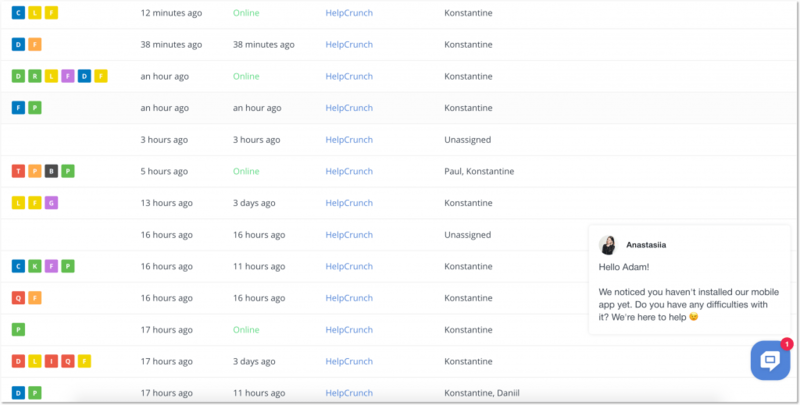 Let’s take HelpCrunch as an example. It collects lots of user data by default – things like time zone or browser language. Not only is this information always available for your customer support agents at any moment right in a chat window, but it also updates in real time. Additionally, you can transfer any of your custom data to HelpCrunch making it a high-end database about your customers. 2. Analytical data about your customer support performance. The only way to know for sure if you’re doing everything right with your customer support is to look at numbers. Look at them more. Then start adding them. Then start seeing some patterns and abnormalities. Then learn to draw conclusions out of all this. What I mean is, businesses can only rely on their performance analytics to make sure their customer support is being any effective. Tools and technologies in use should have all the necessary means to measure everything from response time to overall customer satisfaction. And you should learn to analyze all these stats properly. You can then base any of your further customer support decisions on hard data. For instance, here’s how you can track your customer satisfaction rate in HelpCrunch. At the end of each chat conversation you can send an automatic message asking them to rate their experience. 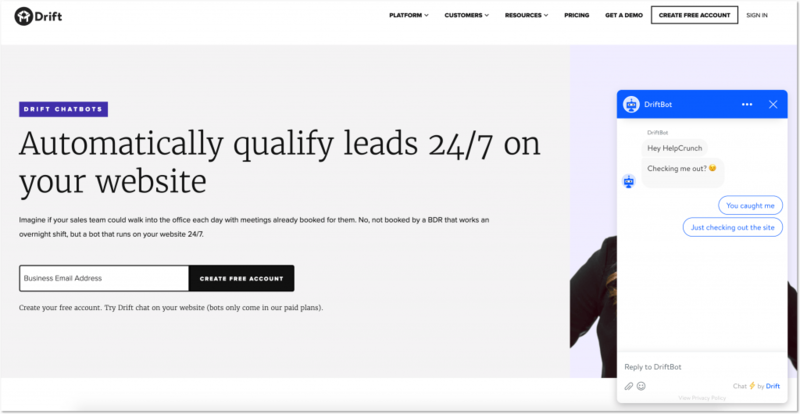 1 second for them – and you get a valuable insight into what people are feeling about your customer support. Over the next couple of years, the need for better and more price data will only be growing. All the customer support tactics together with marketing and sales campaigns can only be based on data and its thorough analysis. The more of it you have, the better armed you are. So, remember when I said people won’t contact you unless it’s an absolute necessity? What if I say you can help them even when they don’t ask for it? It’s called ‘proactive customer support’, and it’s totally awesome. First of all, you should make it a rule to constantly check your service or product for possible pitfalls that might be confusing for your customers. Start with analyzing your existing data – look through all the conversations and try and find some common patterns. I’m pretty sure there are questions or difficulties people have most often and that’s some great material for building proactive support right there. After you wrote those self-service articles about things you uncovered (which goes without saying), it’s time to take your proactive game to the next level. For instance, tools like HelpCrunch allow setting up proactive chats that are automatically triggered by certain criteria. Let’s assume you’re running a software company and you’ve noticed that your customers often skip an important step of the installation process. Or you have a mobile app, but people keep forgetting about it. So you can set up an auto message based on this criteria that will be automatically sent to everybody who hasn’t installed your software or a mobile app three days after registration. The key word is ‘basic’ here. It doesn’t matter whether you’re pro- or anti-automation, our Blade Runner cyberpunk future is not as near as we might have thought. Customer support tools can call their bots artificial intelligence all they want, but it doesn’t make those bots any smarter. What I’m trying to say here is that enhancing your customer support with a chatbot may be a great idea in 2019, but don’t expect any wonders from it. …Bots can actually be very clever when backed by good tech – but it’s not “artificial intelligence”. It’s extremely clever math, turned into experience. That being said, we can’t just dismiss chatbots. As primitive as they are, chatbots are rapidly developing and can already take over a bunch of tasks from your customer support representatives. As assistants, bots can do a great job asking preliminary questions and qualifying leads before your customer support team steps in to help further. There are also knowledge base bots, which can drastically help with finding the right articles and suggesting pre-made answers to frequently asked questions. Do I think customer service is going to be completely automated any time soon? No, in all honesty, I don’t. But you should start implementing the available chatbots nevertheless. They say ‘everything that can be automated, must be automated!’ and I can’t agree more with that. People still spend a lot of their time in social media. Moreover, they still use them for contacting companies and asking them all kinds of questions. 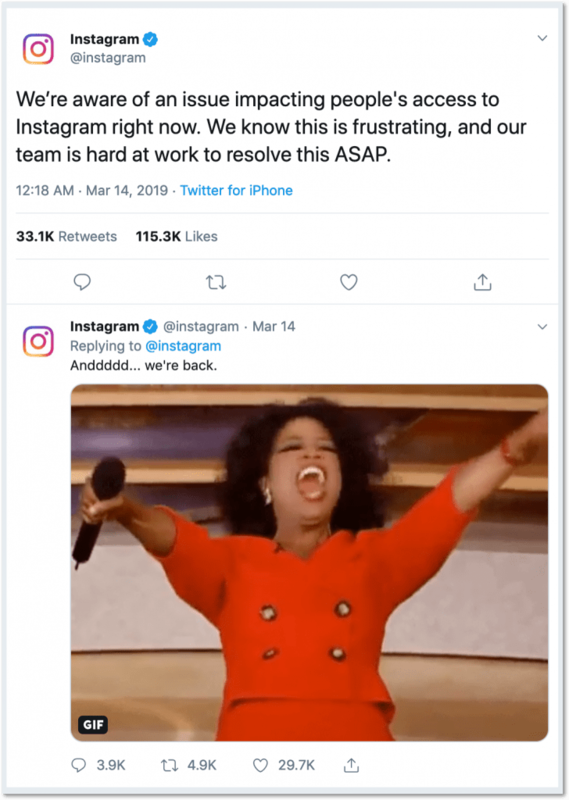 Yes, you can give your customer all possible channels to get in touch with you – and they’ll still go to Twitter whenever your website’s down. I’m sure every single business has its accounts on all known social media. Maybe they even post stuff there from time to time. But it’s crucial for companies in 2019 to keep up with everything that’s going on there. You should regularly check your inbox on Facebook for new messages and track your mentions on Twitter. Companies that strive to be transparent (as all same companies must) should use their social media for communicating with customers openly. Social media also contribute to another important customer support trend. In 2019, you can’t just get yourself a live chat tool and call it a day. Customer support will continue being multi-channel, so can you rise to the challenge? I can talk about future technologies all I want, but it won’t change a simple truth: customer support is nothing without open communication and personal touch for each particular case. Stay friendly, genuinely try to help and get yourself all modern technologies for customer support – and the future will be yours.